The 10-year-old Blue Glass business is moving from its premises in St Cuthbert’s Street 50 yards away to bigger premises in St Peter’s Street, right opposite Pizza Express. 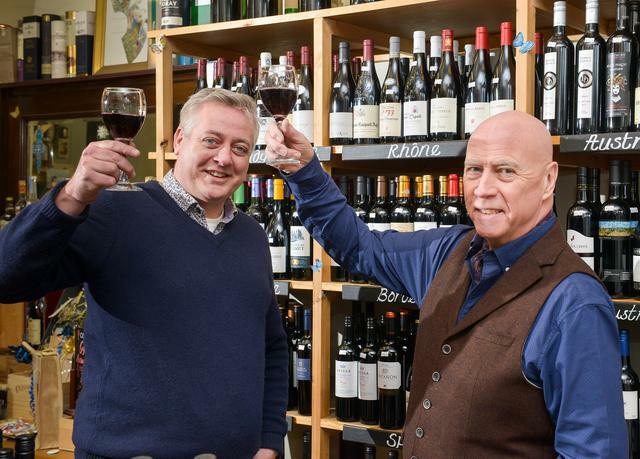 There they will continue to retail 400 wines from around the world - but the with the additional option of people being able to eat and drink on the premises. Customers will be able to try any of the wines at their table while enjoying hams, cheese, olives and sharing platters. And sample a range of Malt Whiskies and designer gins. The joint venture venue also will offer coffees during the day served with the expertise of baristas who are trained by the Kevin Kavanagh of stylish Frescoes Coffee House in Mill Street, established 15 years ago. To complete the tripartite experience the finest cigars will be on sale supplied by Harrison & Simmonds, the 90-year-old family firm on the High Street. Due to open in March, the business will also have extra storage room expanding its existing wholesale service to restaurants and bars. There will also be a facility for tasting sessions and private bookings such as birthday gatherings. Said John: “We think this venture brings together the modern demand of consumers for a quality retail experience while at the same time bringing together the expertise of three of the most successful independent businesses in Bedford. 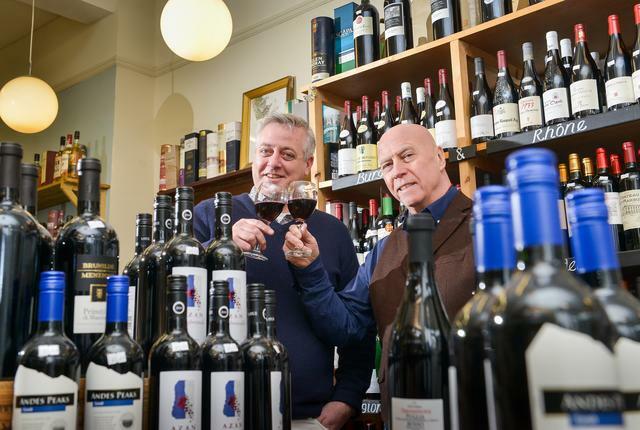 “People can buy bottles of wine starting at £7 to enjoy at home and they can eat and drink in a continental style surroundings, including an undercover outdoor space. The Blue Glass wine bar will be open in the evenings Thursday, Friday and Saturday - ideal for those who want an evening out with friends, perhaps before visiting The Quarry Theatre, or drinks with a difference before visiting any of the many successful restaurants in the area.